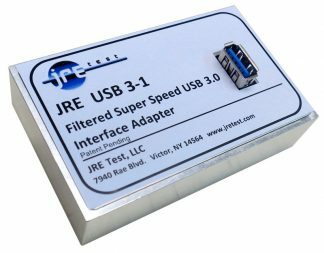 Easily test all high speed USB 2.0 devices in an RF Shielded test environment ! Latest design includes new LTE cellular bands. 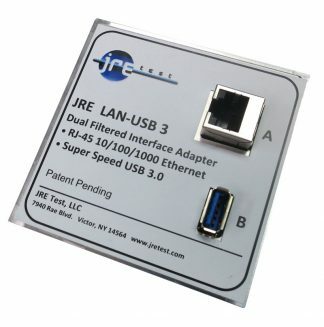 Fully USB compliant with proper USB enumeration! The USB 2-2 Filter consists of two USB 2.0 compliant low pass filters inside a machined aluminum housing which provides exceptional RF shielding on all data and power lines. 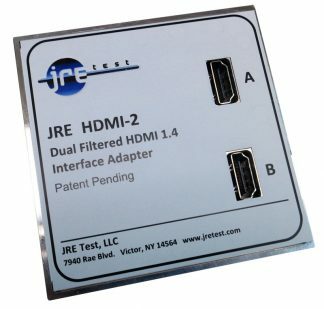 The filter is designed to reject frequencies greater than the Cellular frequencies of 700 MHz while passing data and power between a host computer on one side and a USB device on the other. 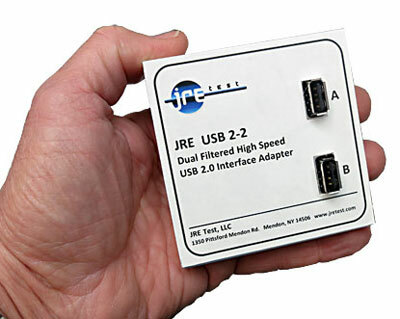 Fully USB compliant, correct enumeration process ensures any test ‘hiccups’ will be properly exchanged between devices, ie: no hang-ups are undetected, a problem when using fiber optic or other such interfaces! 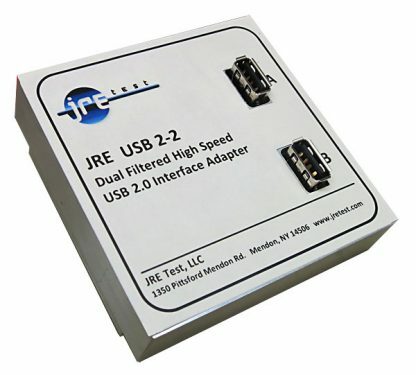 Each USB interface consists of a balanced pair of bi-directional data lines and an unbalanced power and return pair. 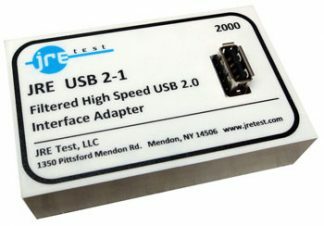 Standard USB Type A connectors are used allowing simple and reliable connection to your USB devices. 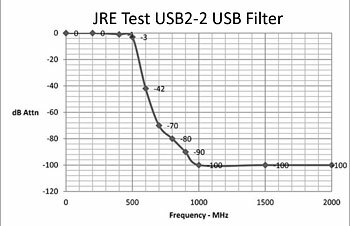 The data line filters pass the up to 480 Mbps of USB Type 1 or 2 data while providing rejection greater than 80dB from 1 GHz through 6 GHz. 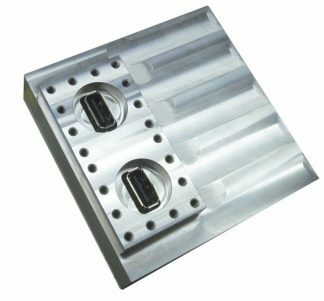 The power line filters pass the DC power and return while providing rejection greater than 80dB from 400 MHz through 6 GHz. Included are two USB Type A Male to Male jumper cables. Power capability: USB standard or up to 50 VDC at 1 amp. DC resistance each leg, 0.1 ohms max. Dual filtered interface in one housing. 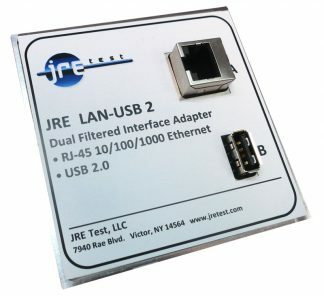 RJ-45 Ethernet 10/100/1000 and USB 2 filter.